I am trying to learn how to send photos from my cell phone to Flickr (I know, that’s sooo 2004). It seems to be working out quite well. 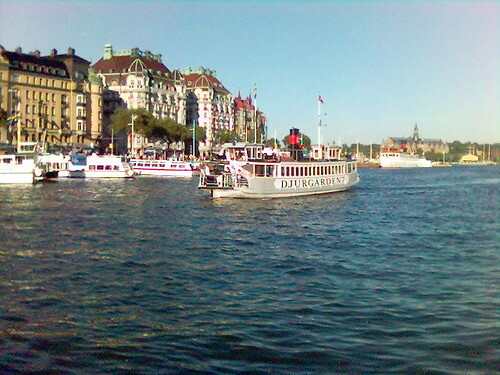 Here is a photo of Nybroviken, Stockholm city, and the ferry to Djurgården. It was taken while I was waiting for the Raphael Saadiq concert earlier this month. 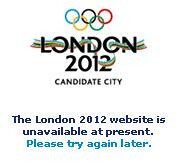 Apparently the Brits were not prepared (enough) to win, because the website has crashed, probably due to an enormous amount of traffic.